President Donald Trump’s head of the EPA, Scott Pruitt did not and does not have a housing problem. 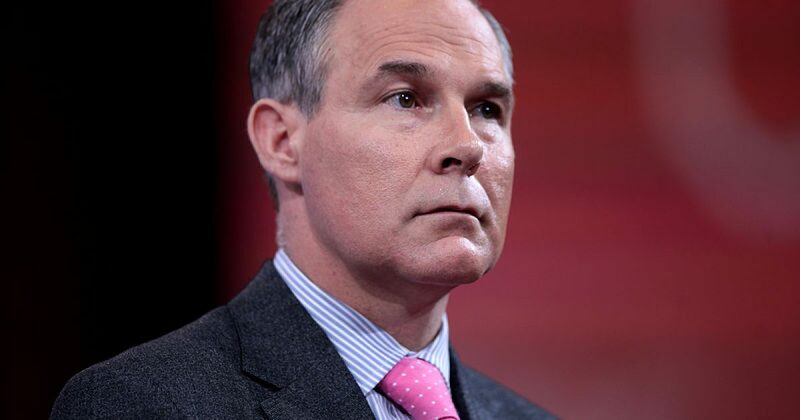 If you believe the alt-left liberal media, there was something wrong with Pruitt’s arrangements while he was going through the nominating process. Look at what the media stoops to in an effort to get another Trump staffer. Pruitt paid $50 for each night that he physically stayed in the condo, which sits a stone’s throw from the Capitol and is co-owned by health-care lobbyist Vicki Hart. According to individuals familiar with the arrangement, who spoke on the condition of anonymity to talk frankly, Pruitt initially approached her husband, lawyer J. Steven Hart, about staying there during his confirmation process in 2017 and then extended the terms of the arrangement through last July. Collectively, according to EPA officials, Pruitt paid $6,100 to stay in the condo for roughly six months. Details of the arrangement initially were reported by ABC News and Bloomberg…..